How can you financially prepare for a divorce? Lili Vasileff, founder of the financial firm Divorce and Money Matters, helps people prepare for their financial future after a divorce. Doug and Lili discuss the common conflicts couples have regarding money before divorce is even mentioned. Lili shares advice that makes financial communication easier and takes some of the dread out of financial planning. Lili offers a financial process someone should follow if they are getting a divorce from their spouse. Before you call your lawyer you should gather certain information. 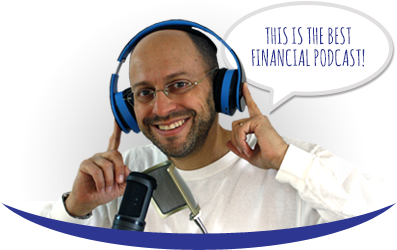 Listen to this week’s episode to learn what you should do with your money before divorce. Doug has created a free downloadable resource to make financial discussions in a marriage easier. Download Money and Marriage for a list of 8 things every couple should know so they can have meaningful financial conversations. 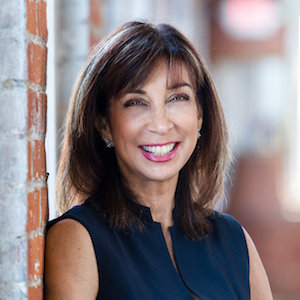 Learn more about Lili Vasileff by reading her book Money & Divorce: The Essential Roadmap to Mastering Financial Decisions or visiting her website, Divorce and Money Matters. Watch What You Should Do With Your Money Before You Divorce on YouTube. Lili Vasileff, author as well as founder and president of Divorce and Money Matters LLC, talks about money conflicts in marriage and the ways that couples can navigate them. Douglas Goldstein: I am very excited to have on The Goldstein on Gelt Show Lili Vasileff, who is the founder and president of Divorce and Money Matters. They deal with all sorts of financial guidance, but as you can tell from the name of the company, divorce is certainly up there. Lili, I don’t actually want to start with divorce. I want to start with discussing the conflicts that couples have, and see if we can kind of avoid the divorce side of it. But I am sure we will get there. What are some of the common money conflicts that you see when a couple comes into your office? Lili Vasileff: Well, I am glad you’re starting at that point. Very often, I don’t think people necessarily want to resort to divorce. They see it only as their last-gasp option because they have conflicts over money. Really going back up the pipeline, how can you help avoid money conflicts? The key factors that give rise to conflicts are going to be, firstly, avoidance of talking about money. That’s pretty common. Secondly, it’s really a power imbalance. Perhaps somebody is more experienced than the other, and more knowledgeable, or the earning capacity is greater than the other person’s. For some reason, that instils a little bit of intimidation in the relationship. Lastly, I am going to say failing to communicate, which is a huge point. You’re bringing together people of different backgrounds, experiences, sets of values, and different behaviors. You’re then smooshing them together in a union. That would speak to equality or equitableness, but often, it’s just not true. You just don’t have the skills there, and it gives rise to a lot of conflict. Douglas Goldstein: I am going to narrow it all down to one thing, which is bad communication. It seems to me that if people could communicate better, the first two could also be solved a little bit. This is including the power/intimidation that a lot of people feel. It may not be on purpose. It just may be that one person naturally takes the position of being more powerful, for whatever reason, and the other one feels intimidated. Do you have any tools you suggest people use when they realize they’re not communicating about money to help them get started? Lili Vasileff: Well, there are a variety of tools. It really speaks to the goal setting of the couple that they want to resolve these conflicts. One is to bring in a neutral third party—a coach, a therapist, or a financial expert—who is very objective and who can sit and translate what’s going on in the minds and expectations of each of the parties to the other person. This can be something as simple as speaking plain English. The second part is just regularly setting aside a time to brainstorm what you want to do with your finances, how much you want to spend on discretionary items, and what the goals are. You do it in a nonthreatening way and on a regular basis, so it becomes like a financial date night, so to speak. I think those are really great, positive approaches. Douglas Goldstein: I like those approaches, and they’re certainly things that I recommend to people as well. I think it’s difficult though. Going back to your example of a couple that is in a power imbalance, say, for example, the husband is the powerful one in this relationship, and he’s really taking charge. Then I say to him, “Listen, you’ve got to sit down with your wife once a month and review the budget and the investments.” He says, “Yes, but she doesn’t really know about it and doesn’t even care.” What do you say when that happens? Lili Vasileff: That’s your traditional sort of game set, right? One party’s abdicating responsibility or accountability because it’s easier to do so. Then the other party just assumes that party doesn’t want to know anything. That’s wrong. You’re in it together. A marriage is an economic partnership, and in one sense, you have to address the fact that you are both equally responsible for your financial well-being. Whether one party is making a million dollars and the other one is a stay-at-home parent is irrelevant. You should be in it together, and it speaks also to having some sort of financial responsibility. Trust me, when I see couples going through divorce, it’s a long overdue process, where they have failed to make this the priority in marriage. Honestly, it’s a huge challenge, and it’s not for the lighthearted. Nobody really likes looking at the bad side of what’s going on with finances. Therefore, when you approach it from the good side and keep that tone going, it becomes more palatable. Douglas Goldstein: Lili, you’ve been talking about the importance of good communication and the fact that couples need to realize that marriage is an economic partnership. However, some partnerships do come to an end. Let’s direct the second half of our discussion to that. Let’s say that you realize you’re in a bad marriage, and it’s hopefully not just for money reasons. But for any other number of reasons, you realize that it’s going bad, and it’s time to leave. What are some of the steps a person should take, at that point, in order to protect him or herself? Lili Vasileff: Great question. The idea is that you prepare. One of the things that prompted me to write my book on money and divorce was to set forth, literally, a step-by-step guide— from the minute you think you are headed toward divorce all the way through to after the divorce. The idea is you need to really find out what your financial situation is, and many people, surprisingly, are not that on top of it. They’re on top of day-to-day stuff, or on top of the long term. But rarely do you have a comprehensive picture of what it costs you to support your lifestyle, what assets you have, and what debts exist. First and foremost, learn about what divorce laws there are that are relevant to you in your state or your country. Secondly, do your homework. You need to prepare yourself financially and have resources for entering into a divorce process. Douglas Goldstein: You say “resources.” Do you mean squirreling away some money on the side? Lili Vasileff: I can never say that, but I can tell you, you’re going to have to find out how you’re going to pay for your divorce. You know how people plan for wedding showers and babies, but few people think of divorce in the same way. You have got to budget for a divorce. Therefore, you need to learn the different legal processes that you’re going to choose, whether it’s mediation, collaboration, or litigation. You have to find out how you’re going to pay for it, and what resources are available for you to do so. You have to do as much as you can to really prepare yourself to better understand your financial condition. This is so that you leapfrog that whole emotional piece of crying on your attorney’s ear, which can cost a lot of money. You know the jokes that go along with that, but it’s a sad situation when that happens. Douglas Goldstein: How much time do you think it would take someone to do that homework? To figure out what the financial situation is and take that snapshot? Lili Vasileff: Well, you’re going to find out and go through your spending. You’re going to list all the assets you have—the financial accounts as well as get the fair market value of your house, cars, and collectibles. You’re going to look at the debts and what’s outstanding, and then you start to create your own net worth statement. As long as you’re married, you can always open up your spouse’s mail. When the mail comes to the house, it’s not hidden. You can find out what accounts exist and gather as much as you can while you have the opportunity to do so. The moment that trigger is pulled, I can tell you that that’s when suspicions get heightened. People get anxious, and they suspect the worst. That is when the information begins to disappear and become unavailable. Then, you have to rely a lot more on a legal process to force disclosure, which is expensive. Douglas Goldstein: At what point should someone get in touch with a lawyer? When Should One Party in the Marriage Contact a Lawyer? Lili Vasileff: When they have a very good understanding of what their financial situation is. When they’ve made a list of what their priorities are, what the outcome of their divorce is, and what they’d like to do and see as their vision and goals for post-divorce life. When they have explored well the different legal options that are available to them, then they’re prepared. They can enter the divorce process knowing what the financial phases will look like when it happens. They’ve found or interviewed the right professionals. Douglas Goldstein: You know it’s interesting you talk about post-divorce goals because everything that you and I do in our day jobs as financial advisors is help people to understand their goals then map it out. We help people develop a strategy for achieving their goals. This is yet just another goal. It’s certainly one that I know must be very difficult for you because no one wants a marriage to end. It’s certainly a difficult situation, but sometimes it leads to that, and people really need to understand how to prepare. I hope this has been a useful conversation for our listeners, but unfortunately, we are just about out of time. Lili, in the last few seconds, tell me, how can people follow you? Lili Vasileff: Thank you for asking. My book, Money and Divorce: The Essential Roadmap to Mastering Financial Decisions, is on Amazon and on my website, divorceandmoneymatters.com. 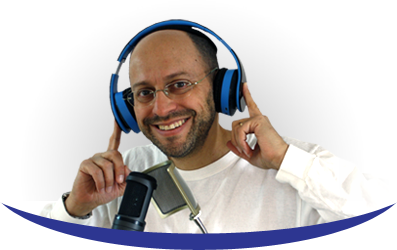 I do a number of different educational seminars and events on my website as well. I welcome anybody to look for my free checklist that you can download to help prepare yourself. Douglas Goldstein: Okay. We will put links to all of that at the show notes of today’s show at GoldsteinOnGelt.com. Lili Vasileff, thanks so much for taking the time. Lili Vasileff: My great pleasure. Thank you.